A+ Fire Escape Repair Inc. specializes in fire escape inspection, fire escape repair, fire escape replacement and fire escape certification. At A+ Fire Escape Repair Inc. we provide the highest quality fire escape services and guarantee all our work in writing with a 10 year warranty. 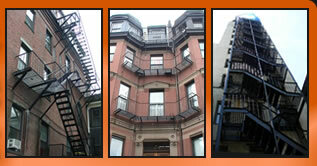 In addition to providing fire escape services we also perform all types of residential and commercial iron work. With decades of experience within the fire escape services and iron work industries we have thousands of satisfied customers located all across the country. Call us at (888) 999-5757 for more information or to schedule an appointment.